The Spoony Bard Podcast: Episode 59: No One Gets Past the Fish, NO ONE! You ever have one of those ideas, one that sounds great inside of your head and when you act on it you are just left there wondering what kind of a jerk your past self was? That is kind of what happened to Stark and I this week. We decided to go down the terrible and dirty road of playing product based games, like the Avoid the Noid game and ones entirely about Chester Cheetah. Recently I have been called out for not liking some of the games from people’s childhood, but I can promise you on this one that if any of you liked this game you fell victim to just being a really stupid kid. Don’t worry, we all liked Teenaged Mutant Ninja Turtles when it was on. We also go off track and talk about Dishonored and X-Com and Mugen Souls and what have you, if you are interested in the latter half of the pod. Posted on November 8, 2012 April 26, 2013 Author gillmanCategories Featured, Podcasts, spoony bardTags a game of dwarves, Anime, avoid the noid, california raisins, chester cheetah, dishonored, gaming, mugen souls, noid, podcast, retro, too cool to fool, tryst, video games, x-comLeave a comment on The Spoony Bard Podcast: Episode 59: No One Gets Past the Fish, NO ONE! Tower Defense games have been a pretty constant experience from one game to another, the AI spawns monsters and the player builds towers to hold them off from reaching the other side of the board. Tower Wars has taken that concept and found a way to make that experience multiplayer by giving the controls of the monsters over. The final product ends up feeling like something between a traditional tower defense game and League of Legends. Probably the first thing that jumps out about Tower Wars before anything else is the endearing quality of the game, the characters and the world itself seem to be rather well defined in such a way that everything seems to have a sense of place. The art does its job holding everything together, but there is something about the voice work that just makes certain aspects of the game pop in a way that isn’t always that common in video games in general. Even small aspects like how the units are upgraded, burrowing into the ground to reappear in a more awesome version, seems to be rather well thought out. Probably the biggest surprise of all, though, was the multi-player of the game. The matches range from 1v1 to 3v3, although I never managed to get into the larger sets through random matches, and involve building and economy, deploying mobs at the other player, and building towers to defend against his way of baddies. Not only was it impressive that the game seems to have finally cracked the correct way to do multi-player in a tower defense game, it is also rather wonderful to note that the community that has started to build around the experience is really accepting and understanding of new players. Considering the DotA like feel of the game this is both a pleasant surprise and refreshing to see that it is possible. Everything in the world of Tower Wars is not sunshine and honey though; the massive downside of the game comes in the way of the single player. 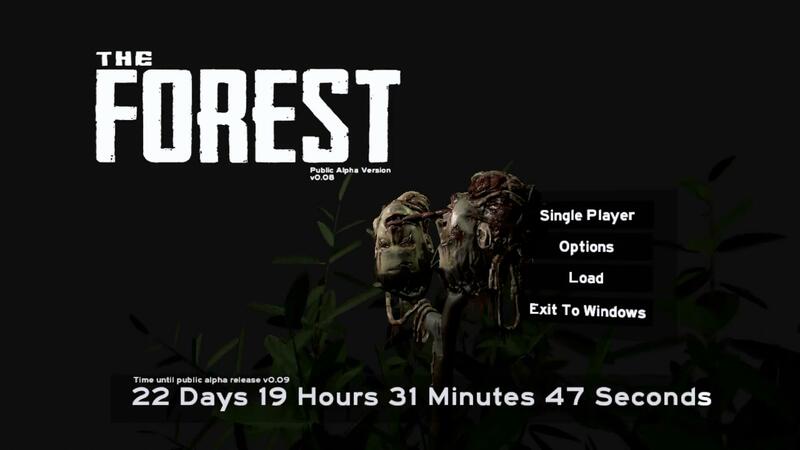 The only option to play by one’s self is a classic survival mode; things get even worse when there are only three maps to choose from and the goal is to see how long one can outlast waves of enemies. Considering that there are several tech trees, a nice nuanced depth of economy management, and pretty much an entire game type that are all complete left out of the single player experience it seems kind of disappointing. While it might not have been that hard to include AI with different skill levels, on the off chance that people aren’t playing this game in the future for multiplayer games to be found, it is nice to know that there is at least a game mode that can be fallen back on. The game sells for 10 dollars on Steam, although it does appear to randomly go on sale for about a dollar less than that, which seems about right for this type of game. A multiplayer, ranked, tower defense game might not be what every person in the world is looking for; that said once bitten by the indie bug it is very easy to find lots of things to really enjoy about this game. While it might not be for everyone the people who do find it will hopefully be enjoying it for some time to come. Throw away any idea that might resemble a plot, add in a limited number of tracks and a handful of unlockable cars and weapons then let people race/kill each other in an overhead perspective. It isn’t the worst idea ever for a video game, but it also feels like it has already been done to death as a genre—between dual stick shooters and the almost abandoned racing/combat games. Somewhere between dual-joystick shooter and RC car racing it almost feels like the game is struggling to find itself instead of presenting its best foot. Possibly one of the major problems with it is that almost everything in the game is locked by default, and the process of unlocking them—including additional tracks—basically requires players to grind out the same half dozen courses until they have collected all, sometimes up to 18, parts needed. Even then weapons and vehicles that do become available still need to be upgraded, meaning that the vehicle setup used to unlock the better stuff is still—oddly—better. It gets even more annoying when that new unlock needs to be used repeatedly in a race to level it up to an acceptable degree, pretty much because it means that the player is promised last place for the next 8 or so events. The game asks the players to upgrade vehicles, as stated before, but the problem with non-upgraded ones is that they don’t even feel like they are being controlled. Sure, upgrading the handling does help with this; that does not change the fact that the cars feel like they are simply floating around with a will of their own, randomly acknowledging player input. Issues are exacerbated when there are several cars piling on top of each other and it quickly becomes near impossible to tell which one is being controlled. That is a wonderful issue to have when it can literally mean losing the race because you lost track of what was happening. All the negatives aside the game does have simple enough gameplay to remain interesting, as when I was playing it for review I managed to sink a little over an hour of my life into it before even noticing time had happened. Granted I may have emerged from that state confused and wondering why, but I wasn’t angry at the time that I had spent, nor was I on the other faults of the game. In an ideal world Death Rally would exist between Trackmania and other such games as the title that you play when trying to figure out what more important gaming experience should absorb a large section of one’s life. Too bad for the game that the pricing seems to be getting in the way of that. At 10 dollars it isn’t unheard of or out of the park expensive, the problem becomes that there just isn’t enough there that really warrants that much of an investment. Even at half of the price the game could be considered better. It almost seems like all of the issues with Death Rally start and end thinking that there was more in the package that they were delivering than really was, which is too bad. There is something to be said about having a relatable character avatar. When a game opens up with the player character being stuck in an ancient—something—civilization pit of mystery and is told to go exploring while the rest of the team waits for a replacement winch instead of just figuring out how rope works, I kind of want the worst for this character. When about half an hour later he encounters a message from the past basically warning the end of the world should anyone enter, and there is no option to simply wait things out, I love for the zombie/mummy/things to kill him. Granted this adventure takes place in one of the most beautiful and interesting environments on the PC, too bad that my only driving force to progress is to find new and more interesting ways for this very bad Indiana Jones to die. Did I mention that the game looks amazing? I probably did, but seeing as how the plot isn’t going to be the thing that you talk to anyone about, unless to openly mock, it should probably be brought up a couple of times. The Ball does one thing, and that one thing it does very well; it manages to show off just how powerful of a gaming computer it running on. Considering that the game only requires the computer to be Direct X9 compatible most computers out there can at the very least run the game. Most of the gameplay is based around some form of puzzle solving, although the twist that is thrown in this time is that the puzzles are normally solved through the use and manipulation of a giant ball that the player tosses around the room. It isn’t that these actions are interesting, it is just that they are presented in such a way that they are best taken in chunks instead of attempting to beat the game in one long sitting. There is combat, but that pretty much only is ever used to make the player feel entirely underpowered, which is good because I hate him. Besides having one of the worst opening plots ever the game is reasonably priced, at 20 dollars, for being a visual masterpiece of a tech demo when compared to other games that used to serve that same niche need—Crysis. While it might be one of the few games that sit around on a Steam list without ever really being beaten, it is also probably the first thing that will be pulled out the moment a new video card or random PC upgrade is performed. With that in mind it is hard not to recommend this game to anyone who is not serious about computer gaming, and would be a waste to not have in any well-established collection.